As such it is the only such recorded rag well in Cheshire/Staffordshire/Derbyshire area and perhaps was imported from Wales however the nearest traditional site would be over 100 miles away and as such it is an odd anomaly or evidence of a wider lost practice! 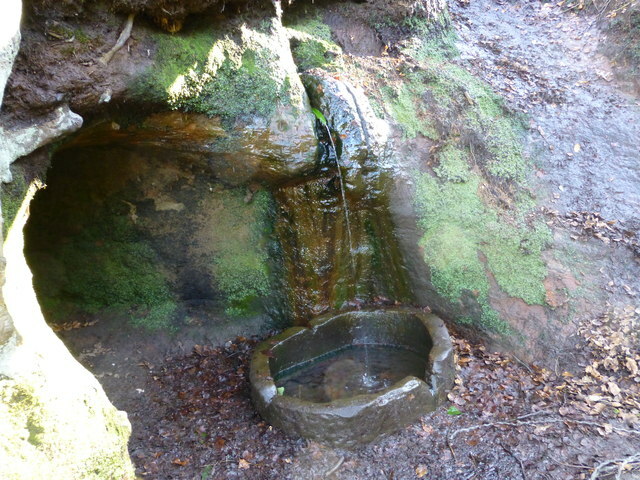 The Holy well is situated beneath a piece of rock filling an old stone trough set into the ground with a break at one end allowing its waters to flow out. In the next post we shall explore the legend of the Wizard’s Well and the mysterious Wishing well. Not sure it is wise describing the remains of people as objects…although some would argue many museums do…indeed, the display of such objects has caused some controversy and that one of these bog relics has understandably now been removed from exhibit. On the 13th May 1983, commercial peat cutters on Lindow Moss near Wilmslow, Cheshire made a grim discovery, parts of a human skull with hair! Bizarrely, overhearing this discovery was Peter Reyn-Barn, who had long be suspected of murdering his wife in the 1950s but no evidence was ever found. He thought that the ‘jig was up’ and confessed, stating that he had buried her in his back garden which backed onto the bog! The remains were later to be dated to 250AD. He was charged even though this evidence was revealed before the trial, he had confessed after all. Significant perhaps over a year later 1st August 1984, these peat cutters found an even grimmer discovery: the remains of another body, strangled, throat cut and head beaten in. Again not Beyn-Fern wife, her body was never found, but a man of his mid 20s, the most complete bog person found in the UK. 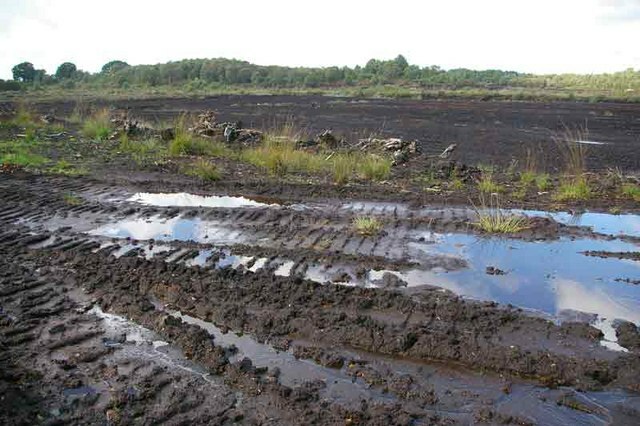 The evidence of two bodies in this area of peat bog was strong evidence of a ritual significance to the peoples in the area over 2000 years ago. Compared to springs, peat bogs and marshes provide an interesting contrast. They provide water but it would have been generally inaccessible to prehistoric peoples as a source of drinking water, yet they emphasized the very mystery of watery areas; the giving of water by the mother earth. Thus it is perhaps understandable that ritual activities would focus here where the water was less utile but still as unwordly. Dieck (1963) in The Problem with Bog People has recorded 690 bog bodies, the majority in North-western Europe, the stronghold of the Celts. Glob (1969) in The Bog People records 41 bodies recovered across England and Wales. 15 Scotland, as well as 19 Ireland in bogs, although few are as well preserved as Lindow Man found after his work of course. Less well known is the fact that over 20 years early in August 1958, a severed head was found. This again was thought be a recent murder but primitive chemical tests and X rays suggested at least 100 years. Post Lindow analysis showed him too to show evidence of a ritual killing with remains of a garrotte, although some believed it to be a necklace, from the late Iron Age-Romano British period and was again around 20-30 years old. The English remains which exist from a window of 1st to 4th centuries is interesting. Indeed The 150 years between the death of Lindow and Worsley man, is a period spanning the late Iron-Age to Roman occupation. What is interesting is that pre-Roman rituals were still clearly being undertaken in a period of occupation, after of course the Romans had outlawed it. It gives support to the survival of any pre-Christian ritual into Christianized times perhaps. 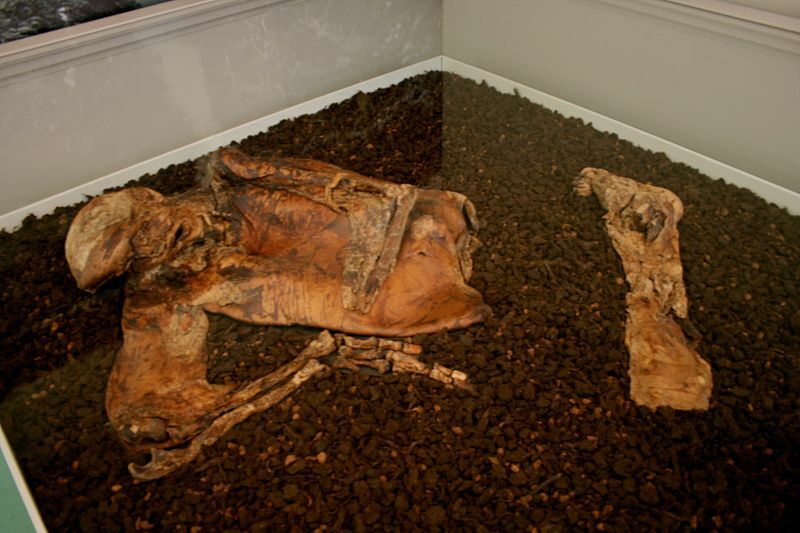 What is fascinating about the Lindow Man and his other ‘bog people’ is that they provide a real tangible link to ancient water worship even if we never find out the true reasons for his murder. 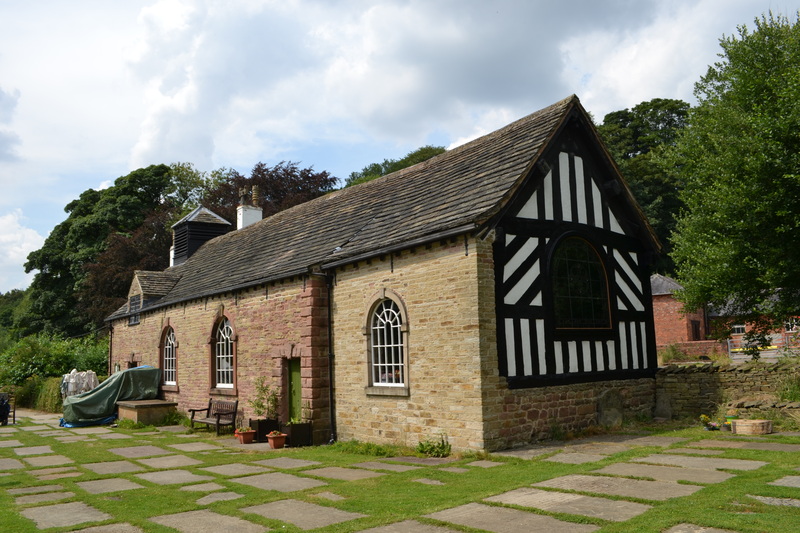 Nestling in a quiet valley beneath the suburban overspill of Stockport is Chadkirk chapel and its well, protected in this cocoon in a country park. An archaeological survey undertaken in 1994 showed that there was a previous chapel on the site which was the same size. The present chapel is aligned east west and is a simple two cell building much in keeping with an Anglo-Saxon style. The oldest part was revealed to be the north and east walls of the chancel. Upon these stone walls is a wooden frame in traditional Cheshire black and white style. 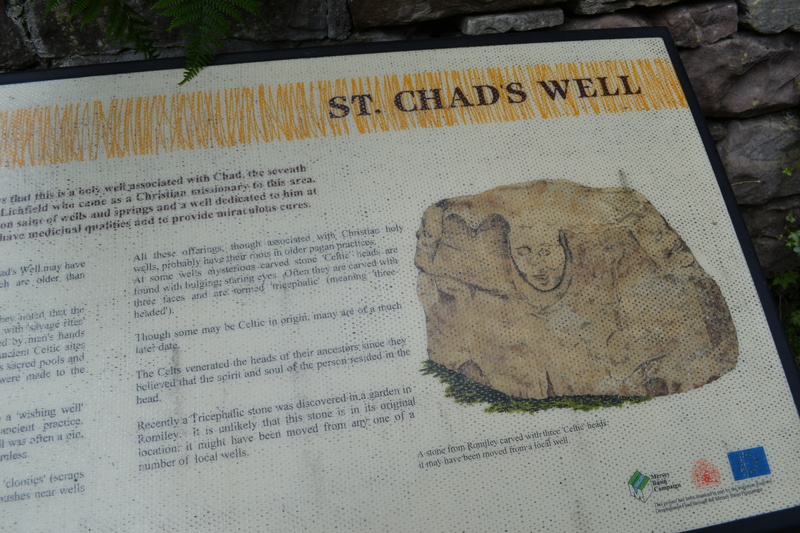 Is it an ancient well? 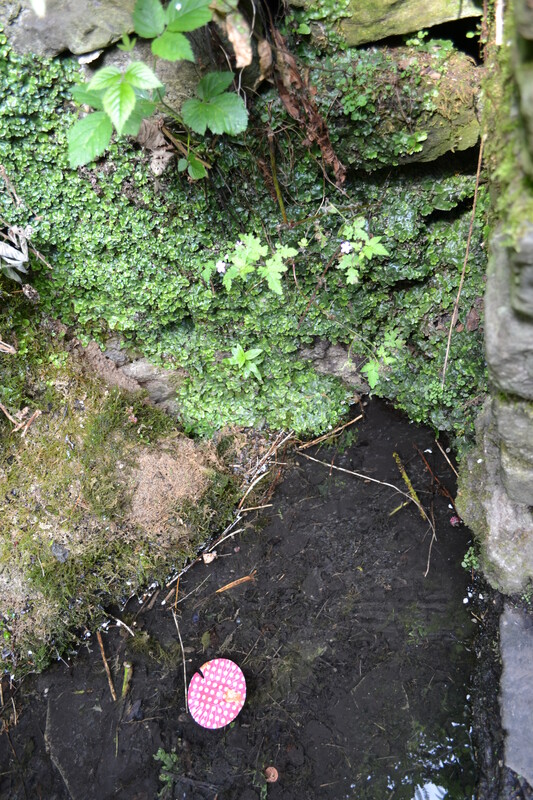 Despite this it is a problematic well, as it is first named in 1872 on the first Ordnance Survey. 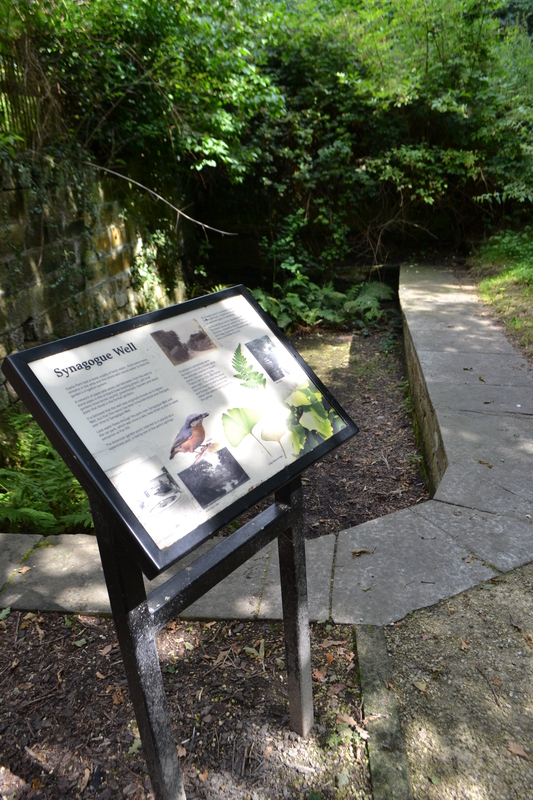 A stone found in a garden nearby at Romiley is mentioned on the information display board at the well is linked to the ancient British head cult, it shows three heads and its tentatively linked to the well…very I would say. 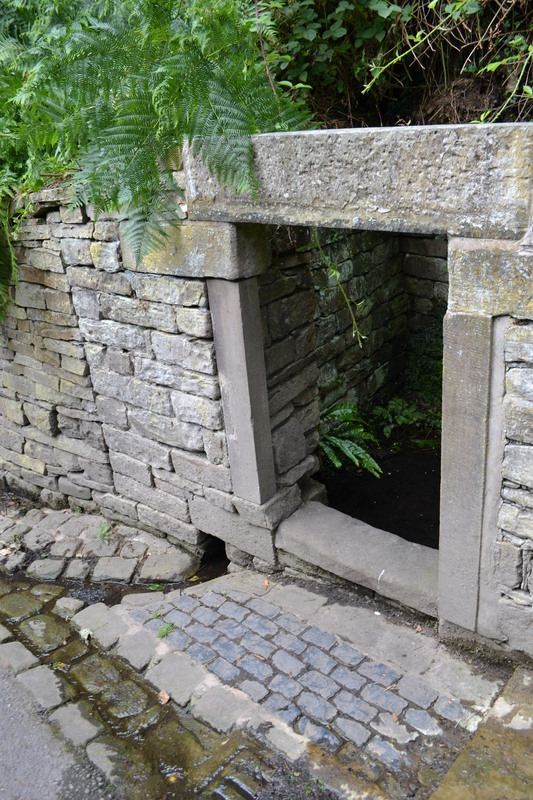 The well house was probably built around 18th -19th century and is built of sandstone blocks having a doorway with a flat lintel where there is evidence of both inner and outer door. It was probably roofed protecting it. 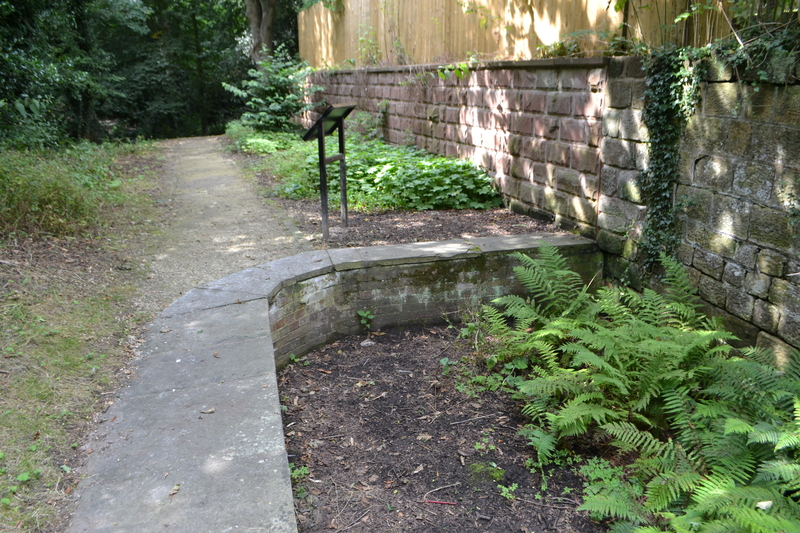 Three steps step down into a rectangular well chamber, with a chamber measuring 1.8m x 1.6m. 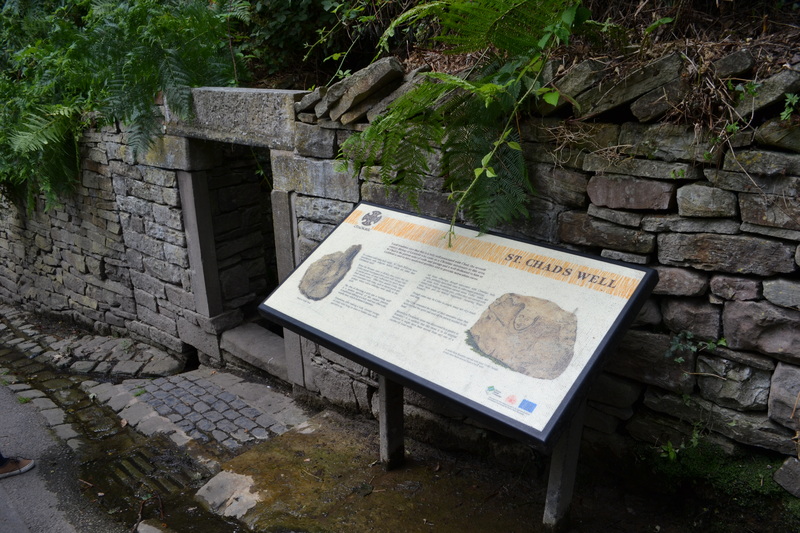 The wells seem to have been repaired or renovated several times in the past. Every year since 1998 at the end of July a well dressing of the Derbyshire style has been produced and it is opened by the Mayor and is associated with the very popular festival. The earliest reference to the saint is possibly in the Domesday Book of 1086 as ‘Cedde’ although some believe that this refers to Cheadle. 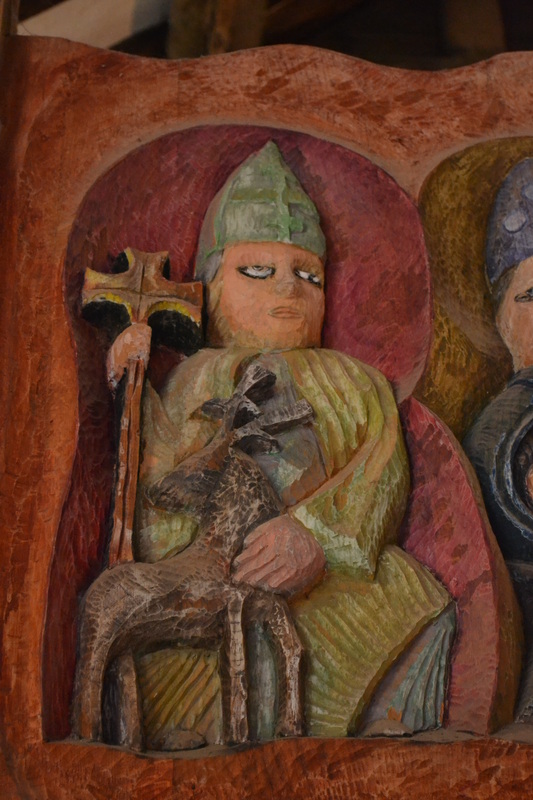 There is a tradition that the saint visited the area, but there is no direct evidence. Sadly, this is a trend quite common in wells associated with this saint.